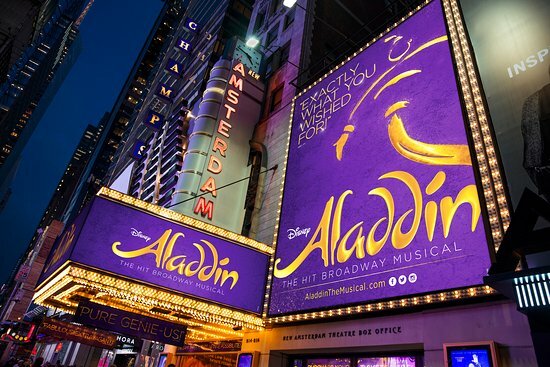 TheaterMania broke the news earlier this morning that James Monroe Iglehart, who has been delighting audiences at the New Amsterdam Theatre since 2014 in Disney’s Broadway production of Aladdin will take his final bow in the role next month. Broadway’s original Genie, a performance for which Iglehart won a Tony in 2015, will take his final bow on February 19. On February 22, Major Attaway, the current understudy in the production will assume the role of Genie. But don’t fret! Iglehart is not leaving the Great White Way just yet – simply stepping into another’s shoes. Beginning mid-April, audiences will be able to see Iglehart take on the impressive double role of Lafayette and Jefferson in the Broadway smash-hit Hamilton. The role was originated by Daveed Diggs, who won a Tony in 2016 for his performance. We here at TMSM wish James all the best in his newest Broadway pursuit and will miss his magic as the Genie.